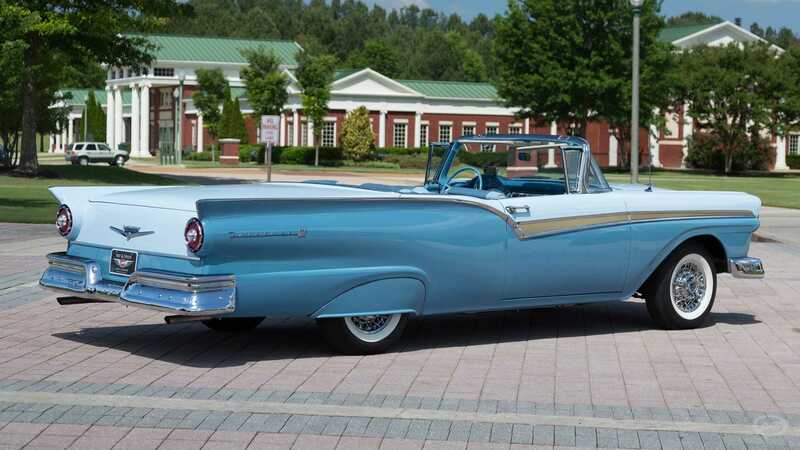 The year of our Lord 1957 will spring one particular car to mind. 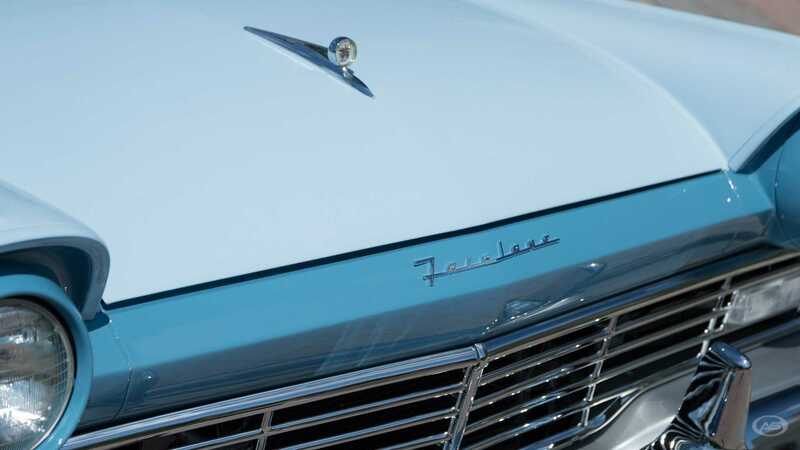 The number '57' and Chevy are two words that go together like Bonnie and Clyde, or Jessie and James. It’s a lesser known fact that Ford also had a trick up its sleeve in the same year. Car design was flaring up and wings were all the rage. 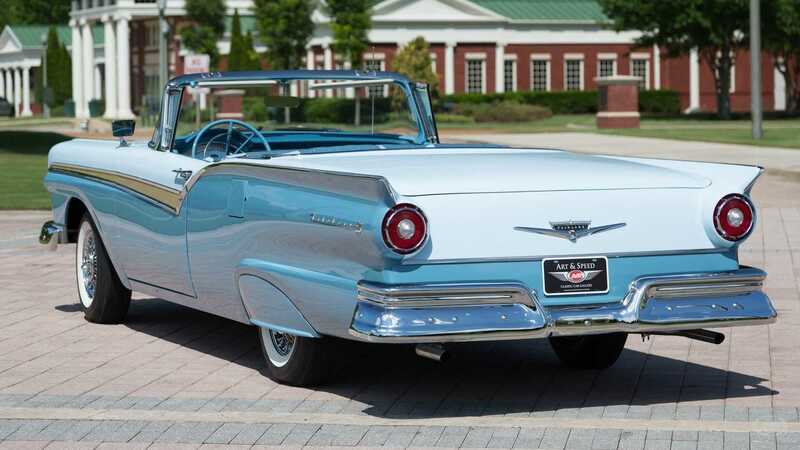 Ford came up with a new range of vehicles, and like Chevy, they didn’t have model names – only trim levels. 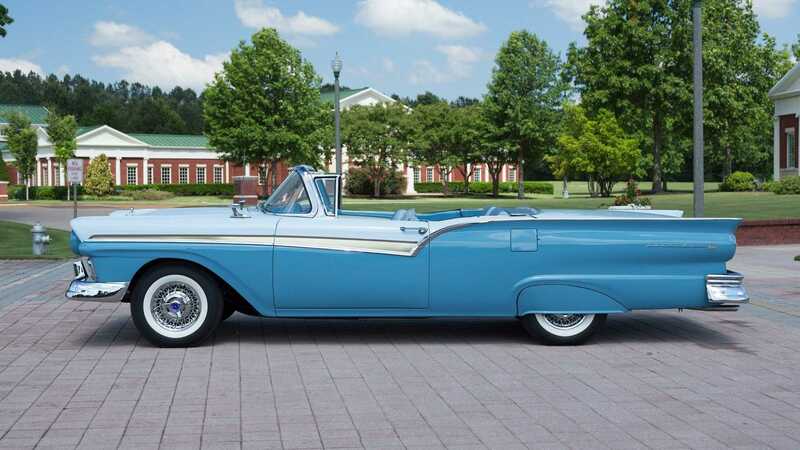 As it turned out, the ‘57 Ford allowed the company to overtake Chevrolet in sales for the first time since 1935, and was crowned America’s best selling vehicle. Quite a pivotal moment for the blue oval. 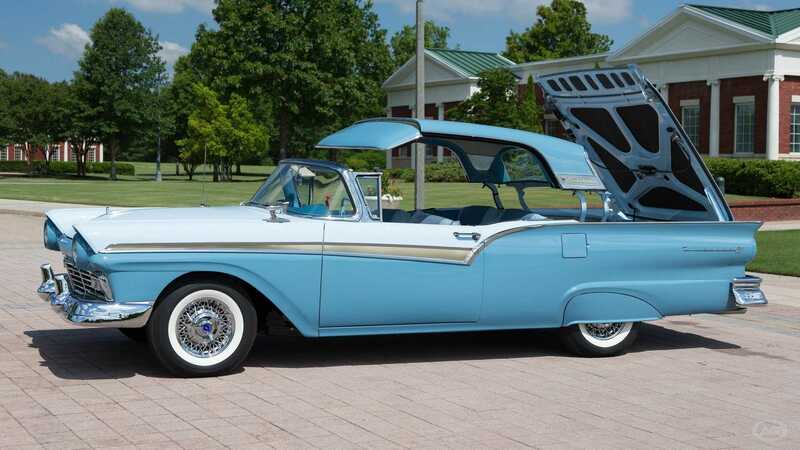 The car featured here, by Art & Speed Classic Car Gallery is a 1957 Ford Fairlane 500 Skyliner. 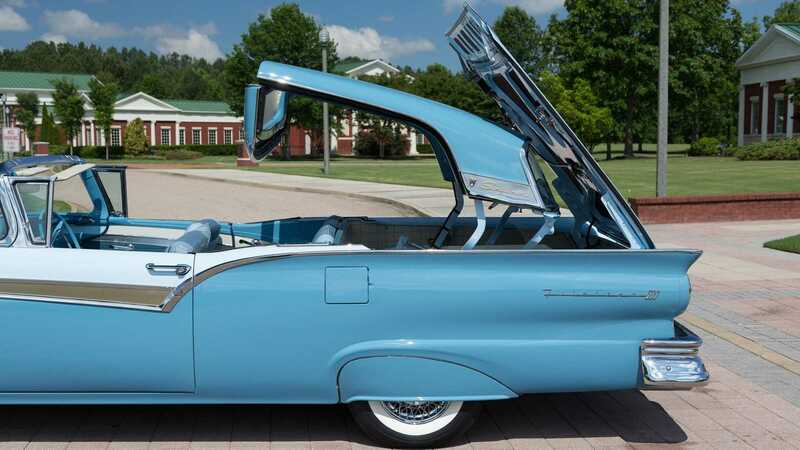 At the time this was at the top of the proverbial tree, featuring the first-ever retractable hardtop seen on a car, which was powered by electric motors versus hydraulics. Despite its innovative design, it was remarkably reliable. A host of engines were offered, with this car housing the 312 cubic inch V8 designated Thunderbird. 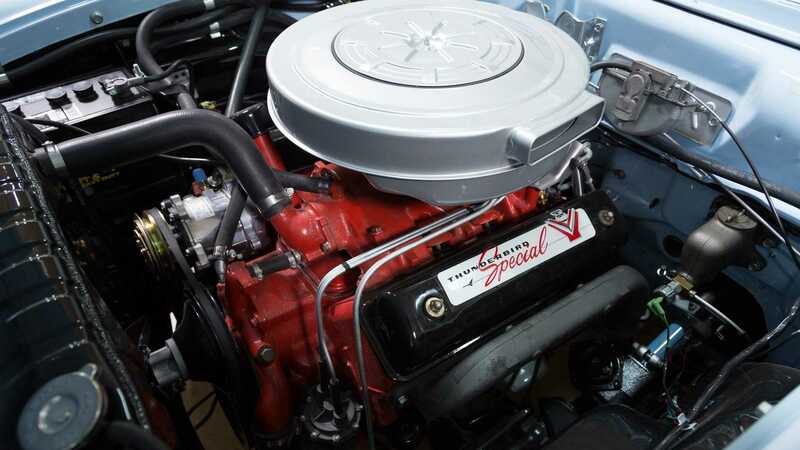 Despite the graphics attached to this vehicles engine block, there appears to be a lack of a supercharger which was labelled Thunderbird Special, like on this example. The non-supercharged version produced 245 horsepower, with the supercharged specimen exhaling 300 horsepower. The fully rebuilt engine is attached to an equally fresh three speed automatic making for some delightful cruising. 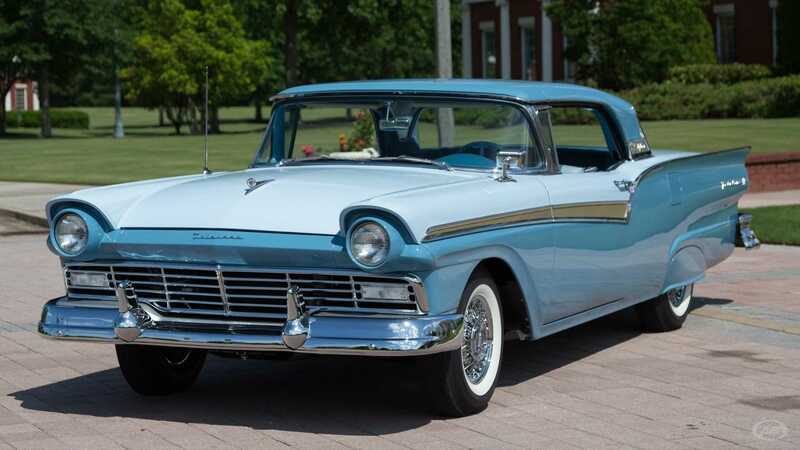 Evidently a labour of love, this Fairlane has been subject to a full frame off restoration, including some particular attention to detail such as the alkaline dip prior to repaint, ensuring that no corrosion was present. An electro epoxy coating completed the process with a 400 degree celcius cure with a tier one supplier to Nissan. Top quality work, then. 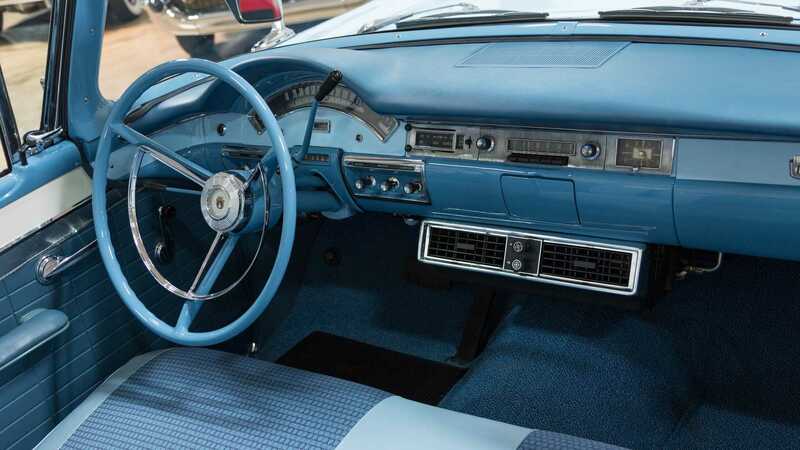 With over one thousand hours having been spent on the project, you can be assured this is one of the best available, especially in that classic blue on blue which is so reminiscent of the era. 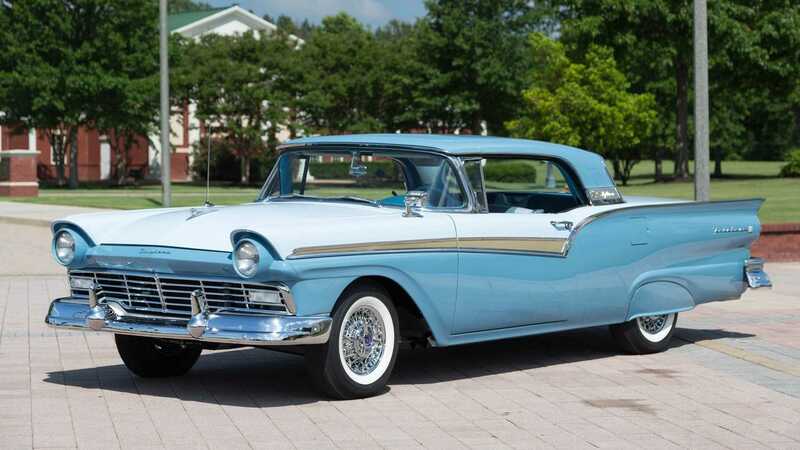 For more information see the Motorious classifieds where this Fairlane is listed for $98,900. Could You Tame This 750 Horsepower ‘57 Chevy Belair?